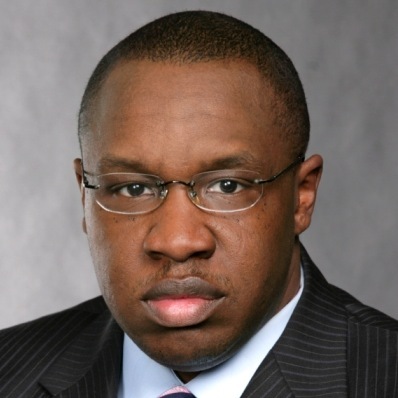 Dr. Darrell Norman Burrell is a Certified Diversity Professional, a Certified Executive Coach, and a Certified Telemedicine Administrator. He is a full time faculty member at the Florida Institute of Technology and Global Peacemaker Fellow at the Claremont Lincoln University. Dr. Burrell has a doctoral degree in Health Education in Environmental Public Health, and Executive Leadership Coaching from A.T. Still University of Health Sciences. He has graduated with multiple degrees (2) in Human Resources Management and Management from National Louis University and a third graduate degree in Sales and Marketing Management from Prescott College. He also has a 4th graduate degree in Higher Education Administration from The George Washington University. He has over 18 years of combined experience in leadership development, health care, diversity, marketing, and human resources management and organizational development experience. He can be reached at: dburrell@fit.edu and is also listed on LinkedIn as “Dr. Darrell Norman Burrell”. You specialize in healthcare administration and policy. Can you tell us how project management skills are important in the healthcare sector? Assembling a team of assorted subject matter experts from clinical and administrative backgrounds to focus on defining project objectives. These objectives need to be specific, measurable, action oriented, realistic, and time limited. Engaging in research, data collection, gap analyses, and data evaluation to create effective strategic project plans and performance measures that set priorities for improvement. The identification of stakeholders who are those who will be affected by the project, who will contribute needed resources, and who will benefit from the outcomes of the project. Determine scope, resources and major tasks–Identify what needs to be done to meet each objective and divide tasks amongst team members. Budget and resources estimation based on the size and scope of the project. The development of communication methods and protocol to share project progresses, obstacles, successes, and failures to critical stakeholders. Evaluation of the project and results. Project management skills are critical for those in health care with strictly clinical backgrounds because their academic training is often absent of project management fundamentals. What other healthcare fields do people use project management? Health administration, public health, clinical health research, health promotion, health education, medical device manufacturing. Also, health services is focusing a lot of attention on analytics. Hospitals and other healthcare service organizations are paying close attention to big data. Project managers already do a lot of analytics and now even offer a certification in business analysis. Can you give us some examples of industries outside of healthcare that are going more ‘project-ized’ in their business? Higher education – especially as it relates to curriculum development, which really requires a project management approach to the development of learning objectives and content. You have written and conducted extensively on the topic of leadership and diversity management. Where do you see the profession of project management going in the next 5 years and how should students prepare themselves? I see areas like project management and quality project management as becoming growing academic disciplines where you can obtain degrees from the undergraduate level all the way up to the doctoral level. Universities like Bellevue University, Florida Institute of Technology, The George Washington University now offer graduate degrees in project management. Several universities in Australia including The University of New South Wales (UNSW) are even offering doctorates in project management. Students really need to realize the importance of specializing on the graduate level. Specialized degrees in areas like project management allow graduates to stand out in ways that a general MBA degree does not. Professionals and students should also realize the development of solid project management skills are transferable and valuable in any professional field, not just healthcare, or construction, or manufacturing. Do you think a person without a traditional project management background can get into the profession? Can you provide some guidance? Getting a Project Management certification from the Project Management Institute is very important. Other critical certifications include getting a Six Sigma certificate which is offered by universities like Villanova and the National Graduate School of Quality Management.